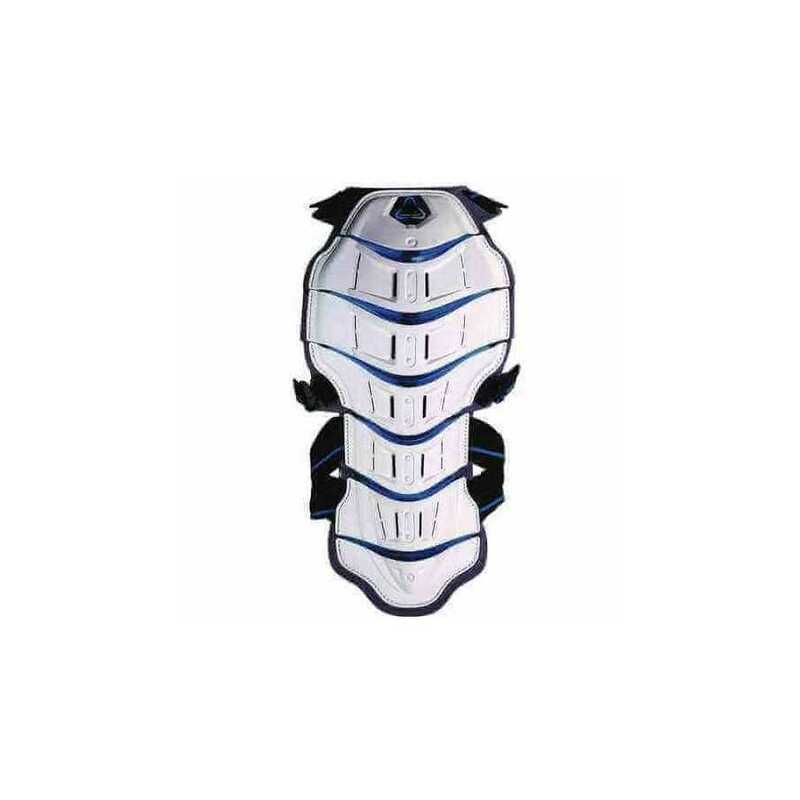 The Feel 3.7 back protector belongs to the top in its class; the outstanding balance between CE Level 2 impact absorption and wearer comfort due to its unique construction, lightweight components and ergonomic features are second to none. 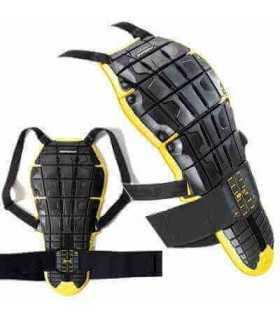 The patented Tryonic Vertebra joint system connects the polypropylene outer shells forming a rigid impenetrable shield and at the same time allowing for an unsurpassed freedom of movement. The EPS inner core ensures maximum energy absorption (< 4kN energy release), well within the CE Level 2 norm (< 9kN energy release). Another unique feature is the patented adjustable belt closure (T.C.F. Tryonic Custom Fit), ensuring a perfect fit for every rider. The Feel 3.7 is also one of the most comfortable back protectors for high activity or hot weather riding due to the Coolmax mesh fabric in the back. As it performs up to minus 20 degrees Celsius, the Feel3.7 is the perfect choice for a variety of winter sports activities as well. Features: Outer shell from Coolmax stretch mesh fabric surrounded by thermoformed padding. Polypropylene Outer Shell. EPS (Expanded Polystyrene) inner core. CE Level 2 (3,7kN) ? EN 1621-2 standard. Ergonomically shaped, follows the contour of the body fluently. T.C.F. ? Tryonic Custom Fit closure system (patented). Coolmax stretch mesh panel. Air vent channels in outer shell. Tryonic Vertebra joint system (patented). Tested for Winter Sports to -20? C. Average weight 768 gr .